Do you have an app on your phone that saves you money? Most people do. Perhaps you have a store you frequent and by having the app, you get points for shopping in that store. That translates to free products, discounts, and other perks. It’s nice to have that option. 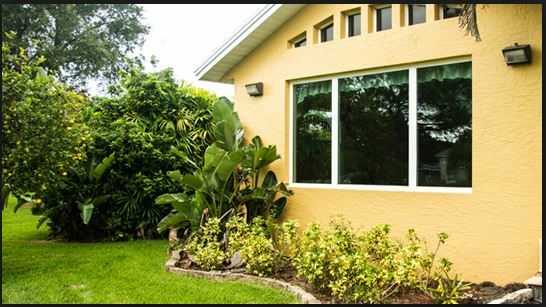 While you may not put an app on your phone when you get impact resistant windows in Clearwater, FL, you can still save a lot of money. And, the best part is, it’s automatic. Here are a few ways you can save money after you get these windows installed. It may be very painful for you to hand money over every quarter when your insurance premiums come due. Insurance is something you have to have, but you never really want to use it. You’ll be glad to have it if a hurricane comes through and your home is damaged, that’s for sure. In the meantime, you can save money on those premiums by informing your provider that you got impact resistant windows installed. Your house is automatically less of a risk for storm damage and for other freak accidents that happen so providers are willing to lower their rates. Energy bills are a necessary part of owning a home, but that doesn’t mean you have to enjoy getting them and then paying them each month. That can change when you get impact resistant windows. These windows are strong and since they don’t let rocks and debris through, they won’t let air leak, either. That means the air you need to heat and cool your house stays in and you use less energy. Your bills, therefore, go down and stay down. While you still might not like paying them, it’s a lot less painful after you get the new windows installed. Your house will go up in value right away once you get impact resistant windows installed. It’s nice to know that when you sell your house in the future, you’ll get most of what you invested back because buyers are willing to pay more for a home with these safety windows. Your home looks nicer as well, which raises its value even more. Windows that let in natural light are great, but they can cause damage and fading as well. Impact resistant windows have UV protection on them so the rays from the sun aren’t hot and they don’t fade items inside. You can save money that you would have had to use for replacement furniture, flooring, and other such items. If you want to save money on many different areas within your home, you’ll look into replacement windows in Clearwater, FL. The windows look great, protect your home, and save you money all at once. Contact the experts at Clearwater Window & Door by calling (727) 559-7007 for a free consultation. We’re also available in person at 2025 Gulf to Bay Blvd, Clearwater, FL 33765. We want to help you do what’s best for your home, whatever that may be.